China Defends Mass "Re-education Camps" As Uighur Muslims "Transformed For The Better"
Two months after a United Nations human rights panel first accused China of holding up to one million ethnic Uighurs in what was described a “massive internment camp that is shrouded in secrecy,” Chinese officials have now admitted to the existence of the "re-education" camps focused on "preventing" religious extremism, and have mounted a fierce defense, going so far as to say former detainees have been "transformed for the better" and live happier lives as "citizens of the nation". Though reports of the Orwellian mass internment camps where "brain washing" techniques are said to be routine have shocked Western audiences as details and testimony have emerged over the past weeks, China has now not only unashamedly admitted to the centers, but is positively boastful about the whole enterprise. 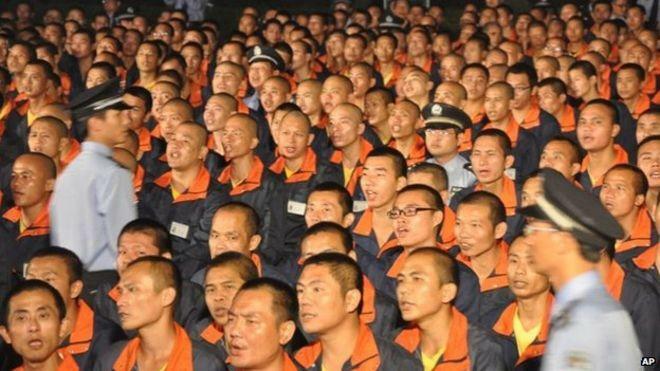 Prior AP file photo of a Chinese re-education camp in Bajing town in Jiangxi province. Vocational training is being used “to the greatest extent” in China’s far-western Xinjiang region to ensure militant activities are “eliminated before they occur,” a senior Communist Party official said. The minority ethno-religious group concentrated in the western Chinese province of Xinjiang has found itself under increased persecution and oversight by Chinese authorities of late as their collective Sunni Islamic identity and separatist political movements have resulted in historic tensions with the Communist government. 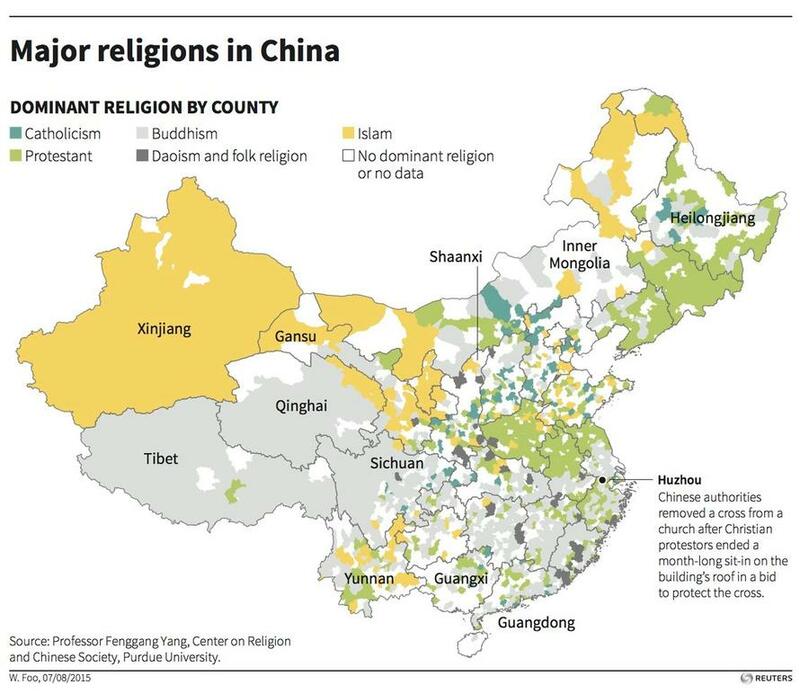 Beijing has in recent years been accused of practicing collective punishment and broad crackdowns on the Uighur population in Xinjiang, which is numbered in total at 11 million (with some estimates of up to 15 million; China's total Muslim population is at about 21 million). The minority ethnic group is also found in sizable numbers in neighboring Kazakhstan, Uzbekistan, Kyrgyzstan. Recent UN statements have blamed state authorities for prominent Uighur Chinese citizens and dissidents being "disappeared". Though now owning up to the existence of what the Chinese official in this latest interview called "vocational training" — authorities are seeking to downplay its extent what appears a coordinated public relations campaign pushing back against recent stories focused on shocking testimonies of victims who spent time in the camps. 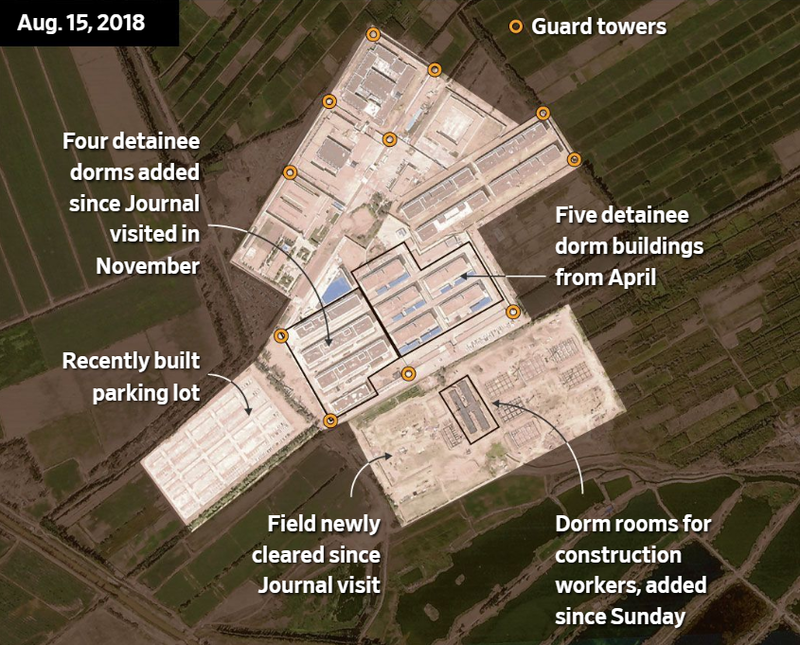 Reuters confirms that, "After initially issuing blanket denials, Chinese officials have in recent weeks said they were not enforcing arbitrary detention and political re-education across a network of secret camps, but rather some citizens guilty of minor offences were sent to vocational centers to provide employment opportunities." The high-ranking government official, named Shohrat Zakir, told state media in the interview that China was fighting "terrorism and extremism" in its own way in accord with international norms and that "trainees" in the camps even signed “education agreements” to receive “concentrated training” which involved “live-in study”. He described everything from Chinese language lessons to classes on the nation's laws and basic vocational skills such as clothe making, factor work, and hairdressing. “Through vocational training, most trainees have been able to reflect on their mistakes and see clearly the essence and harm of terrorism and religious extremism,” Zakir said in the interview. “They have also been able to better tell right from wrong and resist the infiltration of extremist thought,” he added. While China is clearly trying to spin what are essentially Communist political brainwashing centers and brutal mass detention centers, there is some truth to the claim that a militant Islamic insurgency has made inroads into Western China. Most notable is the ethnic Uighur-founded and led East Turkistan Islamic Movement (ETIM, also commonly called the Turkestan Islamic Party, or TIP), a Muslim separatist group based Xinjiang known to have conducted dozens of terror attacks in Chinese cities like Shanghai and Yunnan, but also in places like Afghanistan, and as far as Syria, where it's believed up to 5,000 Uighurs fight alongside al-Qaeda. China claims this threat has made its "re-education" program necessary as it focuses on fostering "anti-extremism" in Xinjiang.